If you have been reading here for any length of time, you know that I am trying to live a much simpler life than what is typically American. Of course, it isn’t easy to do. I sometimes wonder if simple is the right word! I have had the wonderful opportunity to be part of the launch team for Lorilee Lippincott’s new book Simple Living – 30 days to less stuff & more life. 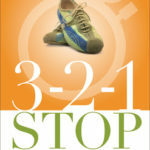 This is a continuation of her first book, 321 Stop – stop running and start living. If you are looking into simplifying your life, getting rid of clutter, physical and emotional, this book is for you. It is 30 short chapters which can be completed in a small amount of time to really understand what you want out of your life, and what you should be surrounding yourself with. This isn’t a book about cleaning! This is a book about getting rid of the baggage that stops you from being able to live the life you want. I asked Lorilee if she would share her story here with you. This is what Lorilee had to say! Thanks so much Heather for the chance to guest post on your blog. Really, I don’t think our family is that crazy or different… but if we had seen where we would be now about 3 years ago I am sure I would have thought it was crazy. I am a wife to an amazing man, mother and teacher to two cute children (ages 8-girl and 5-boy). Writer, dreamer, minimalist, and now author. Back before my kids were born I worked in management in a company with offices in several countries around the world. I loved it. Now, I am sitting here typing in a small 1-bedroom apartment with very few posessions, getting ready to launch my third book this year (Simple Living – 30 days to less stuff and more life), and planning our 5 week road trip around the southeast coast of the United States. My kids are sitting and reading beside me waiting for their history lesson in a few minutes. Most people see our life as crazy when they see how little we choose to own. We used to have a house full of all the normal stuff. …we still have the house, but without the stuff to fill it we are renting it to someone else. Over the last 18 months (ish) we have gotten rid of most of the stuff we owned. However, that really isn’t the biggest change. The biggest change is always the head changes. Not only are we living with less we are loving it. Between the lack of stuff, not worrying about or taking care of a house, and spending less we have experienced so much more freedom. The lack of stuff and all the work necessary to maintain it has helped us grow closer as a family and the children have watched as my husband and I have been able to work on growing our hobbies. Making the step to really embrace minimalism was something we did for ourselves, our family, that didn’t make sense to people around us. It was scary and we did it. After making this choice (and surviving to tell about it) it is easier to think about other areas where society expects different things and evaluate them against our family as well. We are choosing to live an intentional life in many ways and our kids are watching, learning, and participating. Simple Living and minimalism has been my main writing topic because I see how much of a barrier material possessions make in peoples life. It isn’t about the stuff. Instead it is about the time it takes to maintain and clean, the money it takes to get, and the emotional energy it takes to dream about something ‘big’ and ‘shiny’. All this time, money, and emotional energy is being taken from other areas of our life. So simple living really has little to do with stuff. The focus is to remove stuff so it doesn’t take away the resources we have from the life we want to live and our true priorities. In my book Simple Living – 30 days to less stuff and more life I go through 30 different areas of the home and life. This is a book for people wanting to simplify but unsure on how and where to start. This is not a reading book, this is an action book. After reading through and doing the assignments you will have a simpler life and will know areas you need to keep working on. Now for the fun part for you! Lorilee is letting me host a giveaway for her new book! Just enter with the rafflecopter below! I was given a copy of this book free in return for my review, the opinions are my own. I'd have to get rid of the clutter in my house, I just haven't found the courage to do it yet. This sounds like a book that could help me. 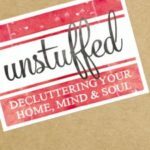 I would like to simplify my home and get rid of the clutter and junk. Always on a quest (in my head) to simplify life. This sounds like a great read! This sounds like a great book. We have been trying to go down this road ourselves, but we aren't quite there yet. Although we have reduced the amount of "stuff" there is still so much more to do. Some "assignments" might be just the thing to help us out. Thanks for sharing.